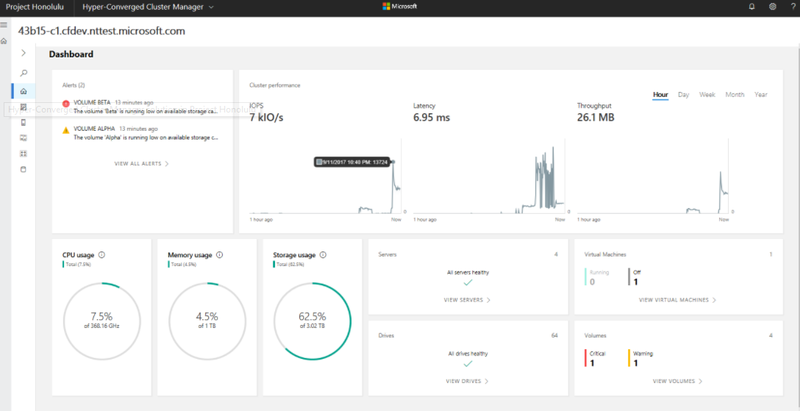 New Microsoft Project Honolulu Hyper-converged infrastructure - Hyper-V with Storage Spaces Direct and it looks awesome! This project is the latest Microsoft strategy on the Hyper-Converged infrastructure which includes Windows Server, Hyper-V, Storage Spaces and awesome GUI tools! Nutanix, UCS that also offer this type of HTML5 kind of platforms. After the MSIgnite 2017 I will be posting more content about this and give you guys an in-depth analysis and how does it actually applies to the real-world environments. Windows Server 2016 is the fastest, most versatile, and most affordable hyper-converged platform on the market, with Hyper-V and Storage Spaces Direct. Come and check out how we're completely rethinking the way you manage software-defined compute, network, and storage infrastructure like you’ve never seen it before.